Today I will talk about how fast and easy it is to transfer UR points to the Southwest Rapid Rewards program. 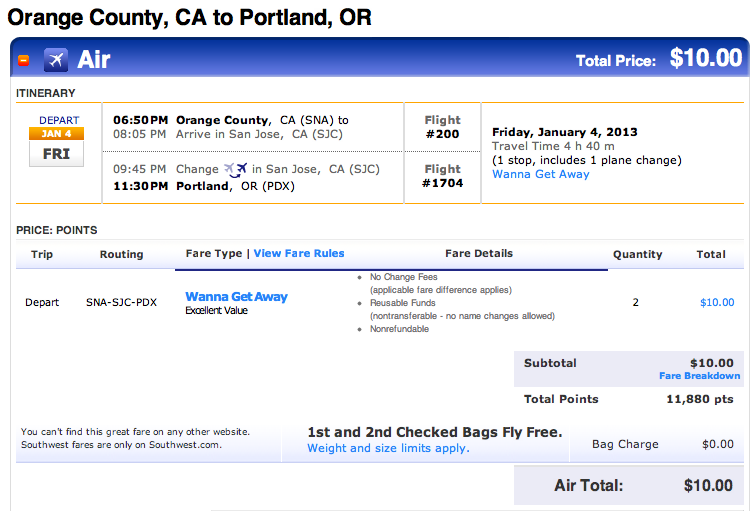 Me and the fiancée are going to visit family in Portland next year. 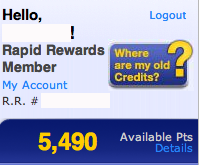 When I logged on to Southwest.com, I saw that I only had 5,490 Rapid Rewards points. When checking for award bookings, I saw that the flights we wanted cost 5940 x 2 = 11,880 points. We were short by 6,390 points (11,880 - 5,490 = 6,390). 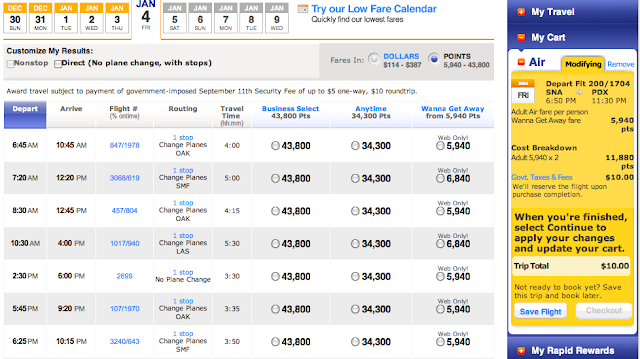 Southwest Rapid Rewards points can be purchased from Southwest here. However, the rate isn’t very good. Buying 7,000 points would have cost us $175. 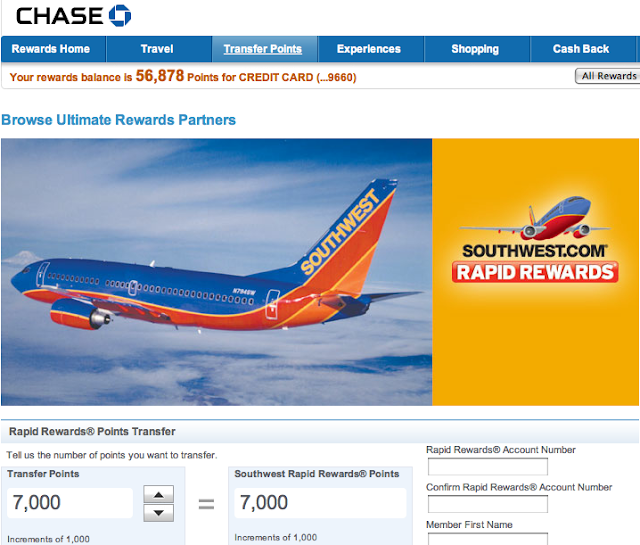 Instead...with the Chase Ultimate Rewards (UR) program, I was able to transfer 7,000 UR points to convert directly to 7,000 Southwest Rapid Rewards points. Just go to ultimaterewards.com to log in with your premium Chase card. Then click on “Transfer Points" to select a program (Southwest in this case). The entire process to transfer points took a few minutes and then I was able to gain an extra 7,000 Southwest points in my account. 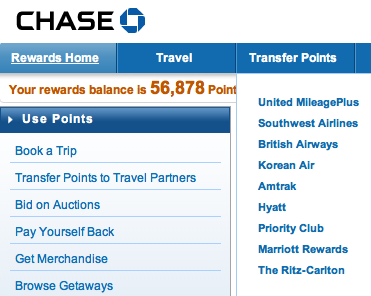 After transferring the points, the total cost for our flight was 11,880 points and $10. As you can see, Chase UR points are very valuable. 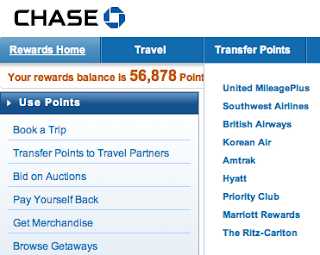 I always like to keep a minimum of 20,000 UR points in my account. I earn these points with normal, everyday purchases. 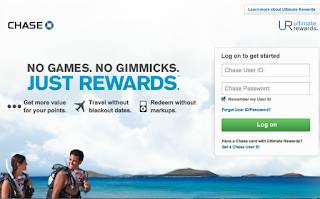 I love the Chase Ultimate Rewards program because it is extremely flexible. Ultimate Rewards (UR) points are very easy to earn, and can be redeemed for almost anything including: cash back, account statement credits, shopping, gift cards, travel, airline tickets, gift cards, and much more. All UR points earned on participating UR credit cards can be combined into one account. Transfer partners include: United, Southwest, British Airways, Korean Air, Amtrak, Hyatt, Priority Club, Marriot, and the Ritz Carlton. 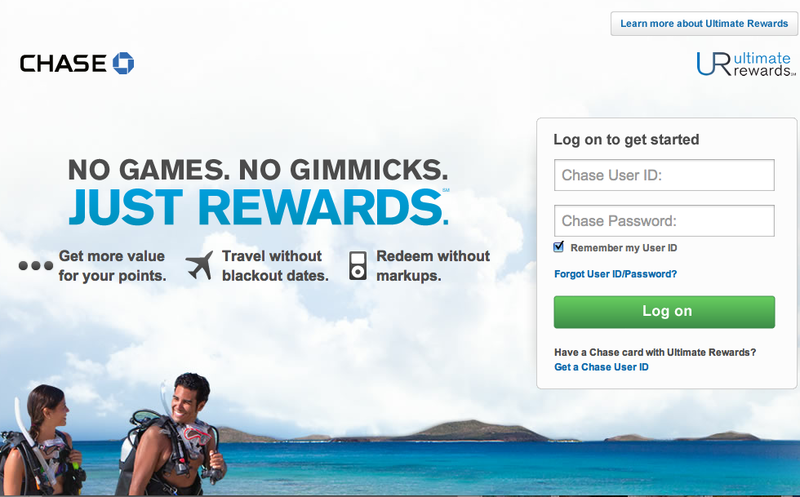 Go out, spend money wisely, maximize points earned, and then enjoy your free flights!